There are many ways to celebrate Chanukah – lighting your Menorah, eating latkes and doughnuts, spinning the dreidel and exchanging gifts. This year, let your love of art and the festival of lights submerge into one (free might I add) gift as we take a look at my top five oil paintings…. First on my list is a record breaking artwork by Francis Bacon. This triptych of portraits, of Bacon’s friend and fellow artist Lucian Freud, recently became the most expensive artwork ever sold at auction. Art dealer William Acquavella purchased the piece on behalf of an anonymous client for $142.4m on November 13th at Christie’s New York. It is said that you take someone apart on the canvas to know them from the inside, and Three Studies of Lucian Freud is an exceptional example of not only Bacon’s typical facial distortion but his mastery with the paintbrush. This epic culmination of the camaraderie of two artistic legends shows just how supremely talented of mind and imagination that Bacon truly was. Take a look at the video of the auction here. Quite possibly one of the most famous paintings that ever existed, Sandro Botticelli’s The Birth of Venus sits proudly in the Uffizi in Florence, Italy. The painting, which took three years to complete, can be read as an ode to the wealthy Florentine Medici family who commissioned the work. 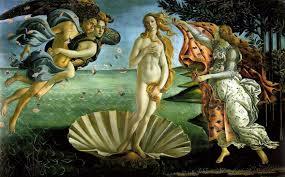 The themes of the painting are taken from Ovid’s Metamorphoses, a very important ouvre of Latin literature. Botticelli is also said to have made references to the poetry of Agnolo Poliziano, the greatest Neoplatonic poet of the Medici court. The Neoplatonic undertones imply that the birth of love and spiritual beauty should be seen as a driving force of life. I had the privilege of seeing this series of paintings at the Gerhard Richter retrospective at the Tate Modern, London and was immediately struck by their emotive force. These fifteen dark and subdued paintings are of the Baader-Meinhof group, part of the Red Army Faction, the Marxist terror group that killed bankers, politicians and bystanders across Europe in the 1970s. The works have a single date as their title – the date on which the dead bodies of three principal RAF members were found in the cells of the German prison where they were incarcerated. Although the deaths were deemed suicides, many believed that the German state police were responsible. 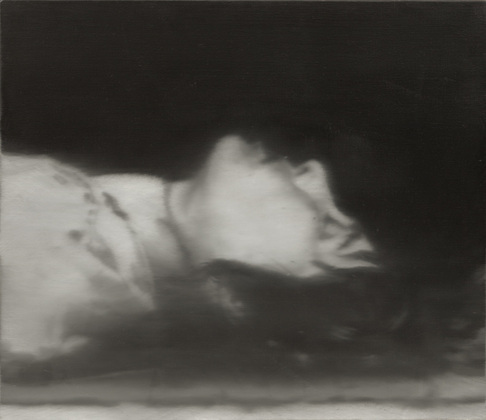 Richter based his paintings on newspaper and police photographs, beautifully recreating the blurred lines of documentary photography. Often famed as the greatest living painter, Richter continues to challenge our reactions to some of history’s darkest moments. Any list celebrating art’s greatest paintings wouldn’t be complete without including Pablo Picasso’s Guernica. Having learnt about the German aerial bombing of the Basque town of the same name, Picasso began to create what has become probably his most famous painting. This enormous artwork is considered a plea against the barbarity and terror of war and sits as a forewarning of what was to come in the Second World War. The muted palette of black and grey are so different to Picasso’s usual use of colour – this together with the sheer size of the work envelopes the viewer in an unsettling sense of danger. So I really believe I have saved the best until last. Frida Kahlo may now be known more as the hipster go-to Halloween costume, to me she will always be the evocative, imaginative, supremely talented Mexican painter. Self Portrait as a Tehuana is also known by the titles Diego in My Thoughts and Thinking of Diego referring to her husband, painter Diego Rivera. Kahlo begun painting this in 1940, the year she and Rivera divorced. 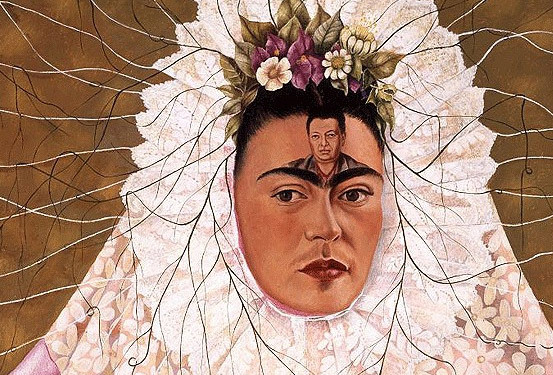 The position of her husband on her brow, the Tehuana costume he so loved and the spider’s web of roots in her hair all depict her desire to possess, trap and lure back the love of her husband who was famed for his continuous womanising.